Jessica Uelmen is a Product School graduate. She recently got a new Product Manager job at Fitbit. We took her out for a coffee to congratulate her. While out we asked her a few questions about the work, how she got it and how did Product School help her in the process. Sneak peek for all of the fitbitters out there; she will be improving the product for you! Laura: To start with, tell us a little bit about your progression into product management. Jessica: I suppose it’s a little non-traditional as they say all the time. I came from an engineering background; I’m an electrical engineer. I worked for a small micro controlling robotics company where I moved my way up in that organization by first being the Engineering Manager into being a Director. I did, for example, a lot of business deals. I didn’t realize until later on at Product school that a lot of things that I was doing at the time were mainly product management. Then, though, I didn’t even know what a Product Manager was or if it was a proper job description. I moved to Silicon Valley and started working for a start-up called Udacity. At Udacity I did program management and later on transferred to the product and the growth team. Then I found Product School and wanted to get started. I hadn’t heard of product management and didn’t know how one can do it. That’s me in a nutshell. Laura: Did you dive into the course with the hope of getting a new Product Manager job or were you just looking to learn and grow? 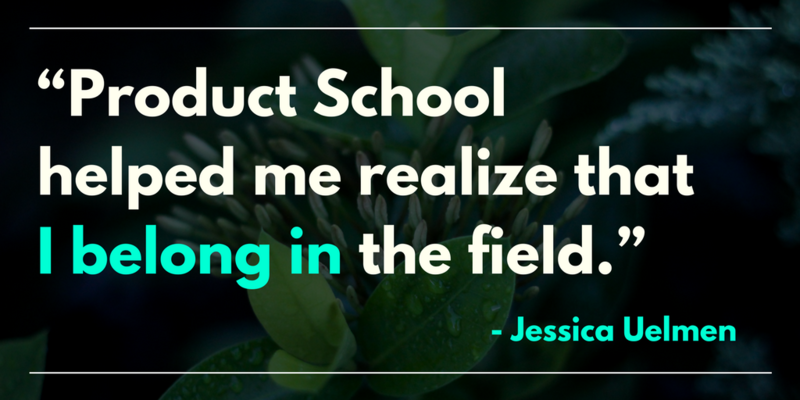 Jessica: I was looking to learn and grow and to get a more official definition of what Product Managers do. I think everybody had their definitions. 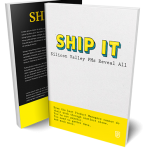 I heard a lot of different things from many different people about product management, and I wanted to focus on an actual process of it instead of hearing just bits and pieces. 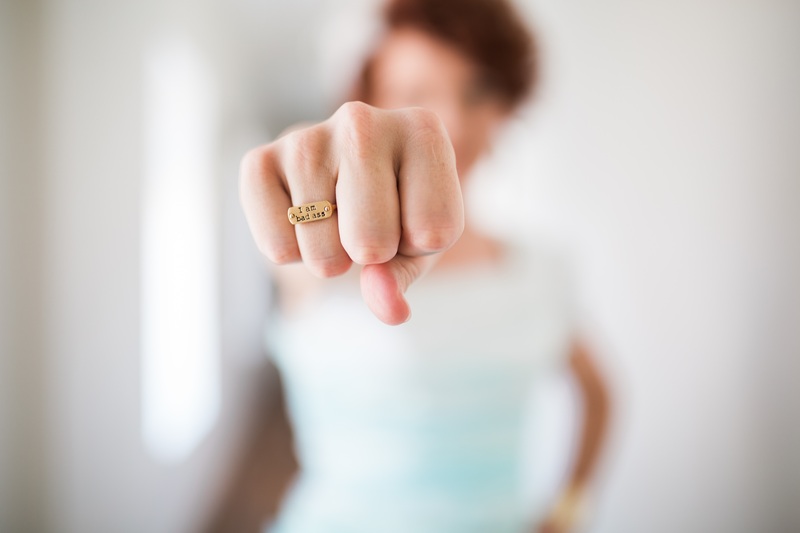 Laura: I don’t think it’s uncommon that people land on product management roles even though they didn’t study product management in college or receive formal training. I’m glad that you were able to get that training from Product School and now you’re at Fitbit. Can you tell us about your position? How did you get the job? What was the hiring process like? Jessica: I’m joining the devices team and mainly what I’ll be focusing on at first is UI and UX and how your device connects to your mobile app or your desktop app. Specifically, I’ll be focusing on onboarding it and making the first experience with a new app a little bit better hopefully. As for the interview process, it was one of the first things where I came across with the job description. I think it was LinkedIn that sent me a “you might be fit for this” sort of notification. I went to the website and submitted my application but I didn’t think that I’d be hearing back from them and that I was just putting it into the void. However, I got a call later from the recruiter about a couple of weeks later. I did a phone screening with the recruiter which went well and I also did a phone screening with a person who’s now my manager. I also had an on-site talk with about five or six people where I had to talk about product management principles and ideas, my technical background, what I had worked on and what I hadn’t. They asked pretty standard interview questions, I think. Laura: To unpack the onset a little further today, what do you have on the whiteboard? Are you playing with data or..? Jessica: Not so much. There were pictures of a new feature component. There were also things planned for the users like “what do you like about your Fitbit,” “what do you not like” and “what do you think we can improve.” There were a lot of product insight questions. There was a lot about working in teams, how would I interview engineers, how do I get things done and what are my general working processes as well. Laura: You must’ve crushed the interview since you got the job! What skills do you feel contributed to your success in getting the job? Jessica: I think it was the work that I had done in the past related to product management. I come from hard work background. 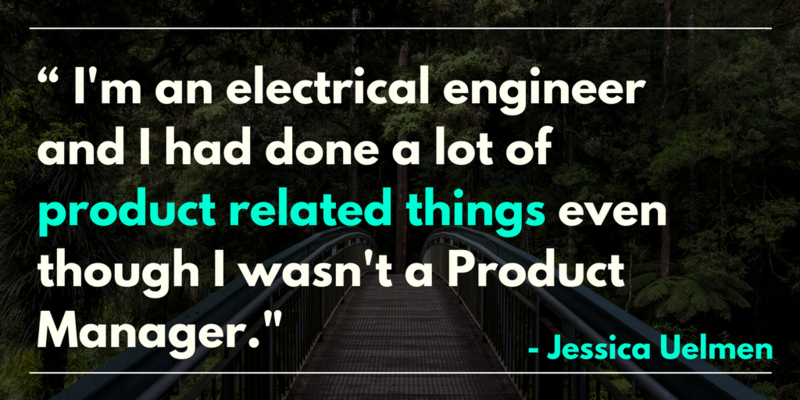 I’m an electrical engineer and I had done a lot of product related things even though I wasn’t a Product Manager. In my previous job I had been defining what the company was going to work on, what the new development was going to be and why we were doing it. I think I was able to find the right experiences and samples of my past work. I dug deeper into how I wrote specifications, gathered requirements and justified the reasons of how I made decisions in the past. We talked about the times when it was hard to get engineers and others on board with an idea and how I went through that. Laura: You’re right. It’s important for those who are out there looking for jobs to find the right fit. It’s not just about what’s on your resume but about the fact that you’re targeted by jobs in companies whose problems you can solve based on what you’ve done in the past. You’ve been in the new role now for 90 days. Do you have any advice for the first 90 days as a Product Manager? Jessica: Yes. Ask a lot of questions. That’s really been helping me. I’ve gone up to people saying “Hi! I’m new, I’m dumb, tell me things.” It helps you to get to know the basics, the plans and the people you’ll be working with, and helps you to make better decisions later. That’s where I am right now. I’m starting to develop my own ideas validated by talking to people. I’m asking a lot of questions and people are always happy to answer. It’s a little scary to ask them sometimes, but they are glad to answer. Laura: Let’s go to your experiences at Product School. How did Product School help you prepare for this transition? Laura: What advice do you have for our aspiring Product Managers out there? Jessica: I know this is going to sound silly, but I want to go back to reminding people to ask a lot of questions. It helps. Also, have confidence in yourself. Tie things to personal experience as much as you can. If there’s something in what you’re learning now that relates to something you’ve done in the past go back and journal about it and reflect on it. That will build your confidence and help you in interviews and in the future. Changing careers or starting something new can put your confidence to a test. It can be challenging and you may feel like you don’t want to do it. However, having the confidence to believe in yourself and the willpower to do it will reward you in the end. Product Management courses help aspiring Product Managers succeed in an interview and give useful tools for the working world.